Most people love my rice, and admit they have a hard time preparing it. Some people I know never make rice because they always over cook it or burn it. I can see the popularity of rice cookers for folks who can’t figure out how to make the perfect rice. I never understood why it was hard. Perhaps cause my Mom taught me. On Youtube, I prepared directions for preparing white rice. Click here to see how! Rice is a basic staple food for Sephardic Jews and as such, many foods are served with or on top of rice. ‘Riz’, the Arabic word for rice, was an indispensable dish in our home. For most Sephardic Jews, rice is permitted even on Passover. (Check with your rabbi). So let’s discuss types of rice first and what they are used for. The type of rice used depends on the recipe. I generally use long grain white rice for most recipes. It pairs well with sauces and moist dishes, like chicken stir fry. There is long grain rice, which must be washed to release the starch. This rice fluffs nicely when cooking. Converted white rice does not need to be washed but this rice does not puff and fluff the way long grain white rice fluffs. So I use a converted rice, brown or white, for week night meals. Short grain brown rice is less processed than white rice. The grain has more fiber and a nutty flavor. This rice is very starchy. The outer layer is bran, which prevents it from absorbing liquid so it takes longer to cook. For some recipes, I only use one or the other, for specific cooking reasons, such as stuffing a vegetable. Choosing the type of rice to use is a cook’s choice. If rice is served as a side dish and not used as a base to mix with another dish, then flavor the rice with stock. Rice pilafs are typically seasoned with a stock and topped with fruits or a variety of nuts. Aromatics and spices send the flavor over the top. Other rice to be considered are arborio, jasmine, basmati, yellow and wild rice blends. Arborio Rice is a go-to for making risotto. The short grains of this Italian rice are extra starchy and give risotto a creamy texture. It can also be used in sushi. Jasmine rice is an aromatic long-grain rice, very light and fluffy, when cooked. Wild Rice Blends are not really rice, they are grasses. Manufacturers blend in long black grains which have a hearty texture and are earthy tasting. The black grains are hard to grow and expensive, so they are mixed with other rices. 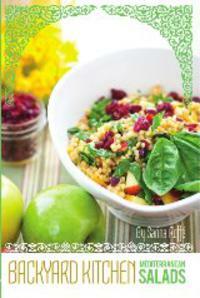 Couscous, quinoa and pearl barley can be used instead of rice or mixed with rice in pilafs. 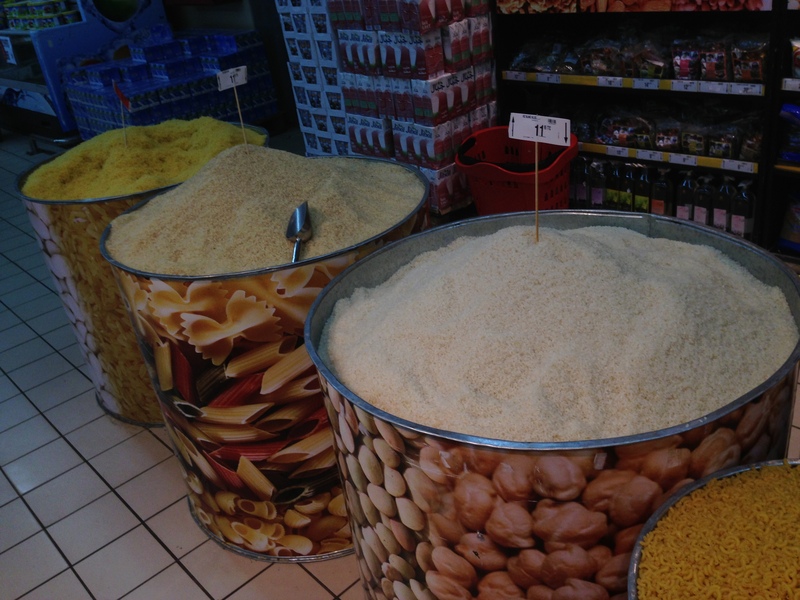 Moroccan couscous is made of a finer grain. I use Israeli couscous made from small round pasta (acini de pepe) and toasted. Whatever you prepare, a rice dish will always vanish! I recommend using a good pot with a heavy bottom and a tight-fitting lid for use when making rice. Most rice calls for 2 C of water for every cup of rice. Brown rice and wild rice have longer cooking times and need more water. There is a basic process to cooking rice. Bring water with salt and oil (or butter) to a boil, stir in rice, and reduce heat to medium. Decrease or eliminate salt if you are serving with a dish high in salt, such as paella or a soy sauce rich stir fry. Allow to cook until most of the water is evaporated. Turn off the heat, cover and let sit for at least 10 minutes as the steam does the rest of the work.